Auction catalogs can tell you a lot about a person—their passions and vanities, peccadilloes and aesthetics; their flush years and lean. Think of the collections of Jacqueline Kennedy Onassis, Truman Capote, the Duke and Duchess of Windsor. 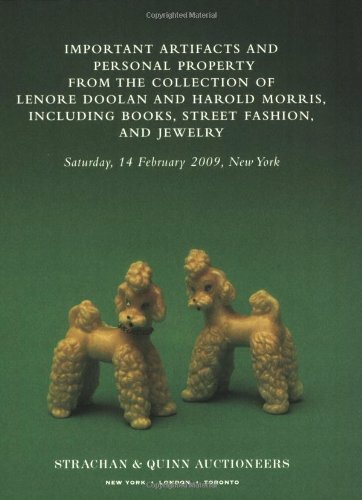 In Leanne Shapton’s marvelously inventive and invented auction catalog, the 325 lots up for auction are what remain from the relationship between Lenore Doolan and Harold Morris (who aren’t real people, but might as well be). Through photographs of the couple’s personal effects—the usual auction items (jewelry, fine art, and rare furniture) and the seemingly worthless (pajamas, Post-it notes, worn paperbacks)—the story of a failed love affair vividly (and cleverly) emerges. From first meeting to final separation, the progress and rituals of intimacy are revealed through the couple’s accumulated relics and memorabilia. And a love story, in all its tenderness and struggle, emerges from the evidence that has been left behind, laid out for us to appraise and appreciate. In an earlier work, Was She Pretty?, Shapton, a talented artist and illustrator, subtly explored the seemingly simple yet powerfully complicated nature of sexual jealousy. In Important Artifacts and Personal Property from the Collection of Lenore Doolan and Harold Morris—a very different yet equally original book—she invites us to contemplate what is truly valuable, and to consider the art we make of our private lives.